Quality football gloves improve your performance on the gridiron considerably by giving you extra grip to control the ball. At the same time, football gloves provide you with more protection on the field, reducing the risks of damaging your hands throughout the game. This being said, you should have a good idea about what type of gloves best suits your needs, because there are quite a few types of football gloves to choose from. With this out of the way, all it remains is for you to find a pair that is both high-quality and affordable at the same time. For this reason, we’ve put together a list of the ten best football gloves on the market for you to choose from. 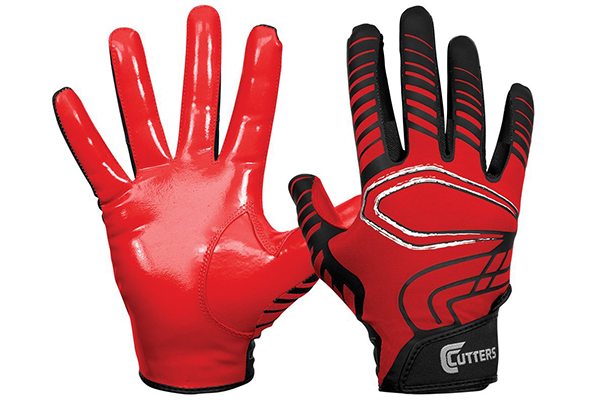 Those seeking a lightweight, flexible glove with extreme grip will find REV Receiver Gloves to be perfect for the job. 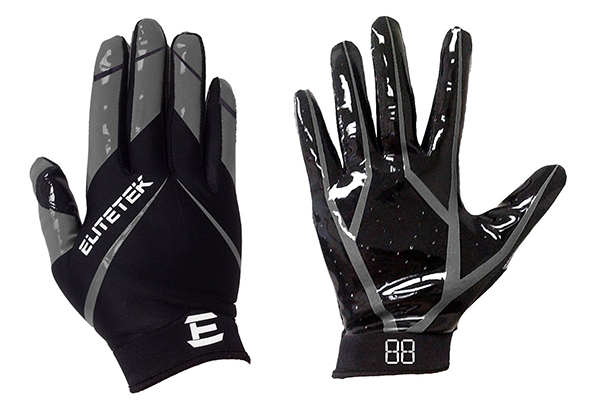 These gloves are made with C-Tacktm, an innovative material that provides a very strong grip in all weather conditions. Thanks to its well-structured design, their C-Tacktm surface extends to the wrist, providing an increased grip coverage. You can recharge the grip just by wiping the glove with a damp cloth. Made from a breathable mesh with a reinforced structure, these gloves provide a cooling flow of air at all times. Lightweight and flexible, they come with a Magnigrip feature that improves the gloves’ grip quite a bit. Thanks to their strong synthetic mesh, they are a lot easier to put on than other gloves, without the risk of them coming off by accident. They also come equipped with Flex Gussets that allow the hand to open fully while increasing the catching area. 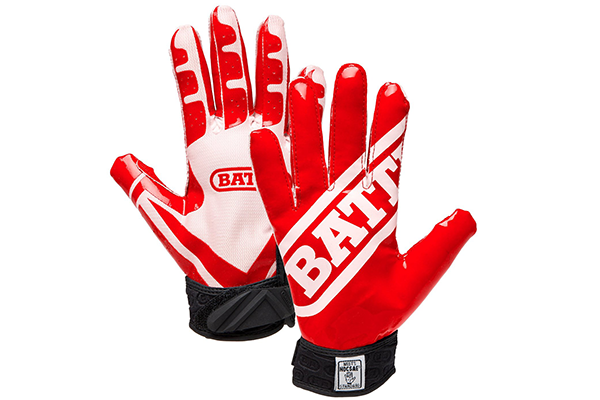 These highly flexible football gloves from Battle were designed with comfort in mind above all else. Not to say that they don’t do the job they’re intended for, although some people might have a problem with extra-comfy football gloves on principle. Made from high-quality tackified material, these gloves aren’t likely to tear from proper use alone. 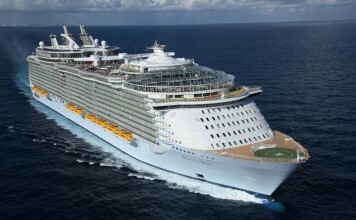 Thanks to their Ultra Blad-span technology, they guarantee extra flexibility at almost any angle. Designed to meet NFHS/NCAA/NOCSAE standards, these gloves provide an almost professional feel that you won’t experience with low-end football gloves. They feature a HeatGear material coverage that keeps the hands cool and dry at all times. 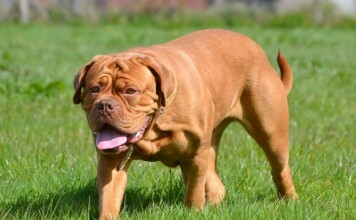 They also have a GrabTack palm design that is stretchy and sticky at the same time, for an increased ball control. Due to the fact that they have a single-piece, seamless palm with allover perforations, you get a much better airflow than you would expect. 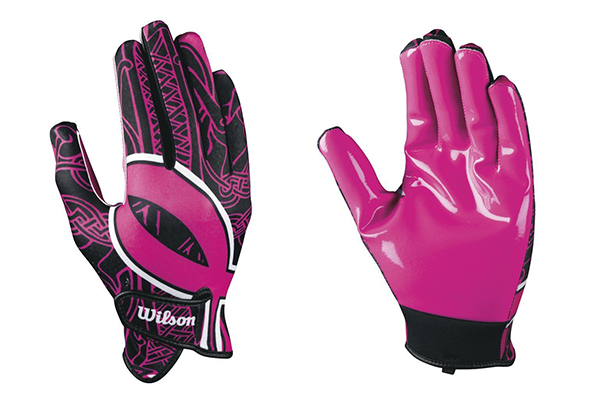 Made with a full silicone palm for superior ball grip, Wilson’s Adult Receivers Gloves are made with grip in mind above everything else. This being said, they are also surprisingly comfortable thanks to their overall design. 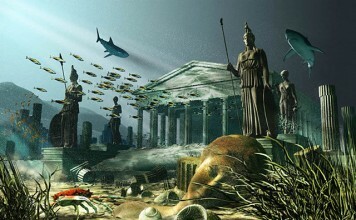 Due to their sublimated structure, they will fit almost any type of hand regardless of size. Furthermore, the sublimated silicone design makes the gloves extremely lightweight. These ultra-light gloves have a super-breathable stretch woven fabric that allows total mobility at all times. Their Power-Catch technology secures the thumbs and the index fingers to reduce twisting while its GrabTack palm provides ultra-sticky, highly reliable ball control. Also, the fact that they have a single-piece, seamless palm construction with allover perforations ensures proper airflow and comfort. 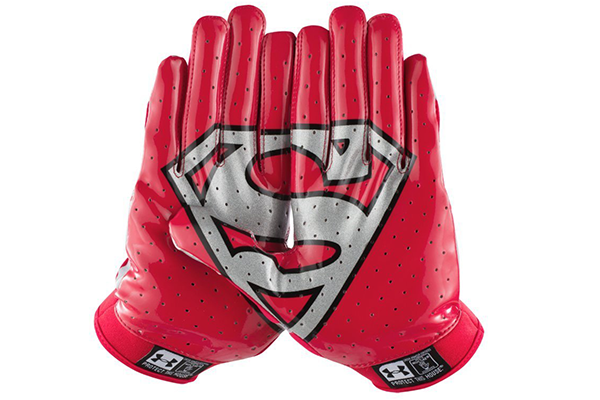 Made according to NFHS/NCAA/NOCSAE standards, these gloves are some of the most reliable football gloves on the market. Due to the fact that they’re made using HeatGear materials, you are guaranteed to have cool and dry hands at all times, even after being used for extended periods of time. 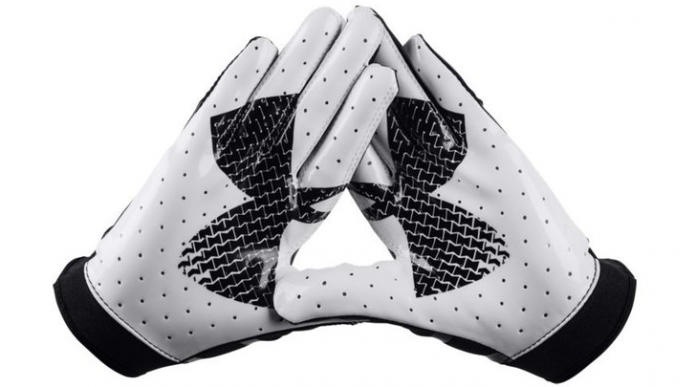 Their single-piece seamless palm construction with allover perforations has become a trademark for Under Armour gloves by now, so you should expect them to keep you well ventilated throughout the game. 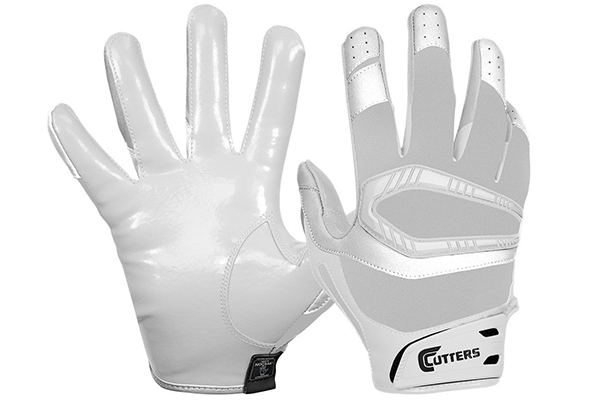 Featuring Cutters’ C-Tack Revolution Performance Grip Material, you can expect these gloves to provide the best combination of performance and durability possible. Due to their lightweight construction, these gloves may not be the most protective out there, but they surely make up for this by being extremely flexible. It should also be said that their C-Tack material is not attached but built-into the gloves, a feature that offers them self-restoring grip and reliability. 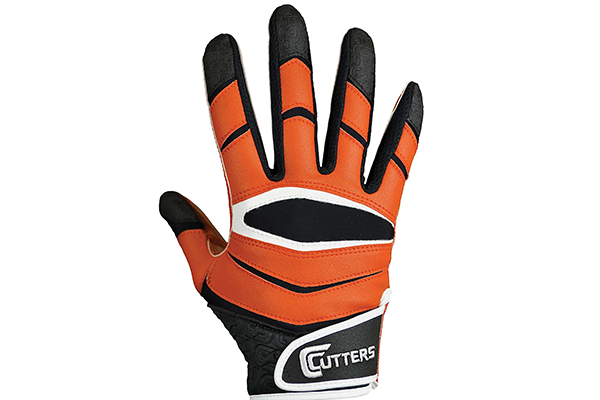 Equipped with a flexible backside with synthetic panels for added support, these football gloves from Cutters provide not only flexibility but safety at the same time. They use a Rev Tack Recharge system that allows you to restore their powerful grip just by rubbing a damp cloth over them, which is bound to come in handy. Furthermore, these gloves are entirely machine washable and dryable, without the risk of damaging their grip system in any way. 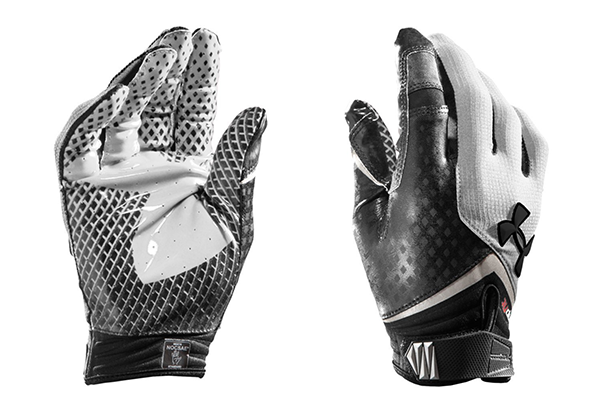 The first thing you notice about the RG-14 football gloves is the absence of any sort of wrist straps. 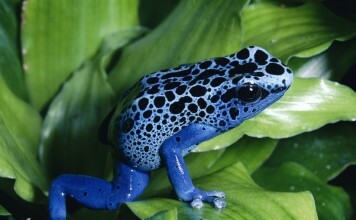 This makes them so light that you may even forget that you’re wearing gloves entirely. Despite the lack of wrist straps, these gloves are designed to mould themselves to your hand, providing you with comfort and grip at the same time. Speaking of grip, these gloves use a Grip Tech technology designed to provide maximum grip under all weather and surface conditions. Overall, the RG-14 are probably some of the best football gloves money can buy.